Sony has officially launched a new smartphone called Sony XA1 Ultra. It packs an awesome specifications. It came in two variants; of which difference is the Internal memory capacity. One thing that spoilt this phone is the 2700 mAh battery capacity. Aside the poor battery specs, the rest of the specs are cool. See full specifications of Sony XA1 Ultra below. Sony XA1 Ultra specifications. Sony XA1 Ultra released date. 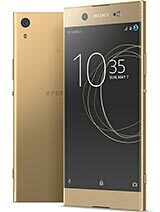 Sony XA1 Ultra price in India, China, Ghana, Nigeria, USA, Europe.